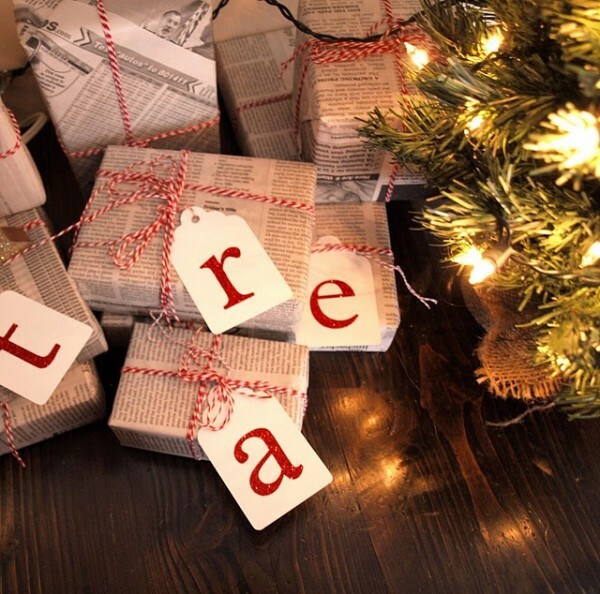 Did you know there are only eleven days until Christmas Eve? Doesn’t it seem like December is flying by! If you’ve been following my Holiday Countdown, you know that I set out to be more organized and prepared this year. I’m happy to report that the anxious, stressed-out response I have often felt this time of year has been replaced with that magical feeling- you know the one you had when you were a kid. I owe it a lot to being prepared and really immersing myself in joy of the season. One thing I really love to do is wrap presents. I always have, and as a kid my mom used to take advantage of this (in a good way). I like gathering unique items throughout the year to add that extra detail to gifts. Some people have a thing for shoes. I have a thing for beautiful stationery, papers, gift bags, ribbon- the whole kit ‘n caboodle (well, and perhaps for shoes too)! Oprah always says, “Love is in the details” and I happen to agree. I know that when I receive a beautifully wrapped gift, my friend or family member was really thinking of me. I don’t even need to open the gift to feel loved and appreciated. This year I encourage you to wrap the gifts you are giving from your heart. Really think about matching the gift wrap to the personality of the individual it’s intended for. There are many easy and cost effective ways to do this. Although I have some beautiful papers I purchased on sale in January last year, I wanted to do something new to add to the mix. On Etsy I found several hand printed papers that were lovely, so I decided to try making some of my own (although I am a huge supporter of Etsy). I started with a roll of plain brown craft paper, a medallion stencil, sponge applicator, acrylic paint tube in robbin’s egg blue, a small plastic container with lid and paper towels (all available at Michael’s and Wal-Mart). I covered my table in a drop cloth and rolled out the paper. I then squeezed a generous amount of paint into the plastic container, placed the sponge in the paint and took some of the excess off by dabbing it on the plastic lid a few times. Holding the stencil down firmly with one hand, I stippled onto the paper with the other. The first time I moved the stencil to create another medallion I realized I had too much paint on the sponge and it seeped through a bit. I was careful to dab more off the next time and occasionally wiped the back side of the stencil with a paper towel. I was also careful to lift the stencil and place it down precisely rather than dragging it across the paper. I repeated the process until the paper was covered and then I let it completely dry. For the tag I printed out this gorgeous free one from Ooh La Frou Frou onto cardstock. The original is quite small, so I resized it. I added a little sparkle to the lights with a dab of glue and some white and turquoise glitter. I punched a hole and added ribbon. After wrapping a gift with the paper, I added wired ribbon around the entire package and attached the tag. I just love how pretty it looks and it’s perfect for one of my fashionista friends! Having the right supplies definitely makes the experience enjoyable. Each gift becomes its own work of art! 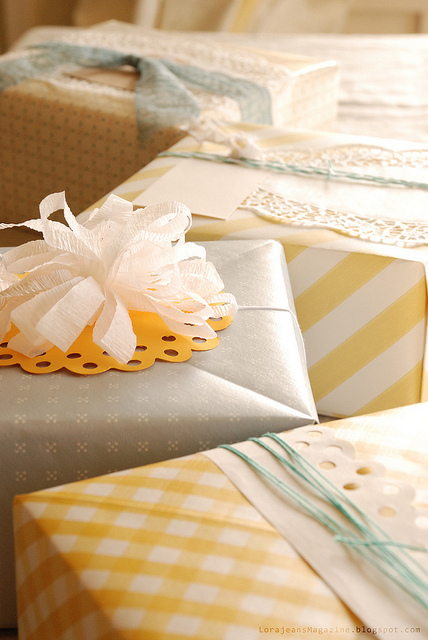 Do you love gift-wrapping as much as I do? 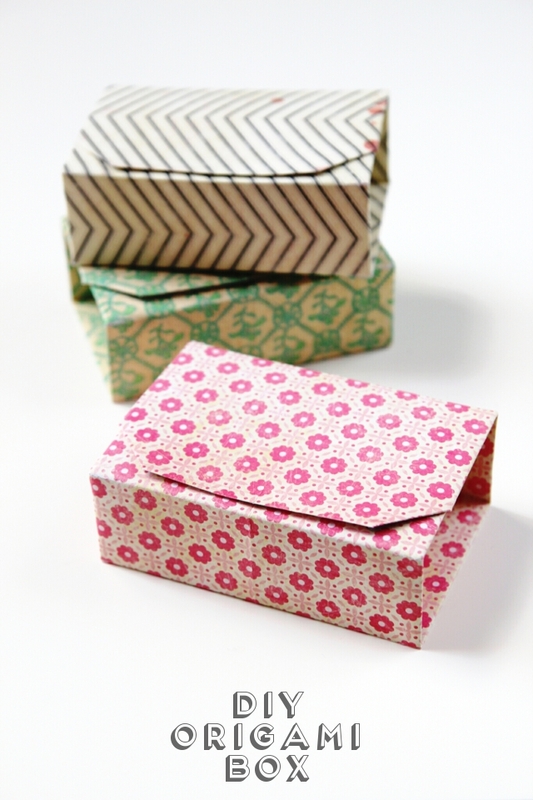 Do you use any unique wrapping materials or create your own tags or embellishments? That stencil is gorgeous – I love the bright colour! Thank you! I’m heading over to your blog to check it out! Your paper looks wonderful! I love the blue and craft brown together. I always make my own tags, and two years ago I found Christmas pictures of everyone on my gift list (like a sweet/silly picture of my brother as a child, sitting on Santa’s lap). 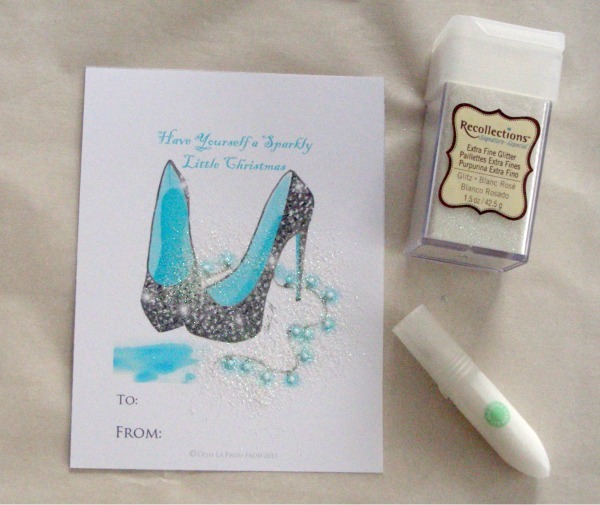 I scanned them and printed them on nice card stock….they made cute personalized gift tags! So glad i stopped by, today is my gift wrapping day! Happy Holidays! You’re so sweet! Heading over right now to check it out! so Im sending all my gifts over to you to wrap m’kay? I HATE wrapping gifts-most of the time I just toss em into gift bags- awful, I know! Too funny! I don’t know why, but I’ve always really liked doing it. Thanks for the paint color- I’m going to check it out. 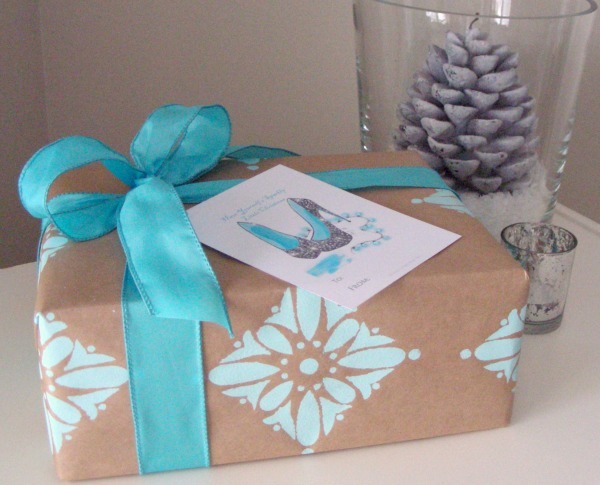 That wrapping paper and tag you created are gorgeous! Love love love the style, color, and added sparkle. Not to mention that it’s totally original and a lot less expensive than what you may buy. Beautiful ideas! 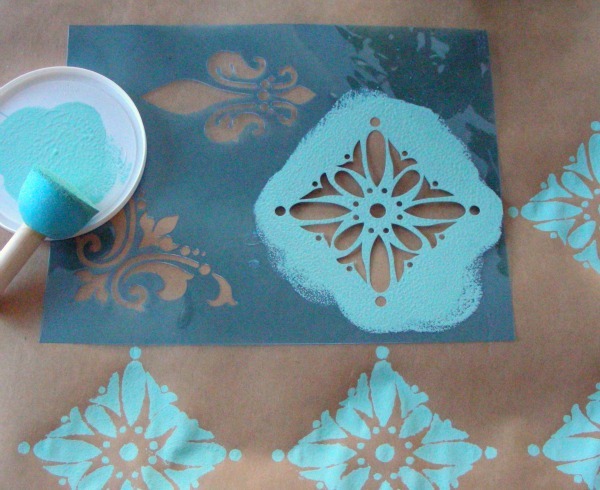 I also love the craft paper with the blue stencils! Ooh, I just love this! Wonderful stencil, and gorgeous colors! Fantastic Shauna!!! Wow, what beautiful wrapping you do!! You are so talented! Wrapping is not one of my talents, but I will try to take some inspiration from your beautiful work! Beautiful! 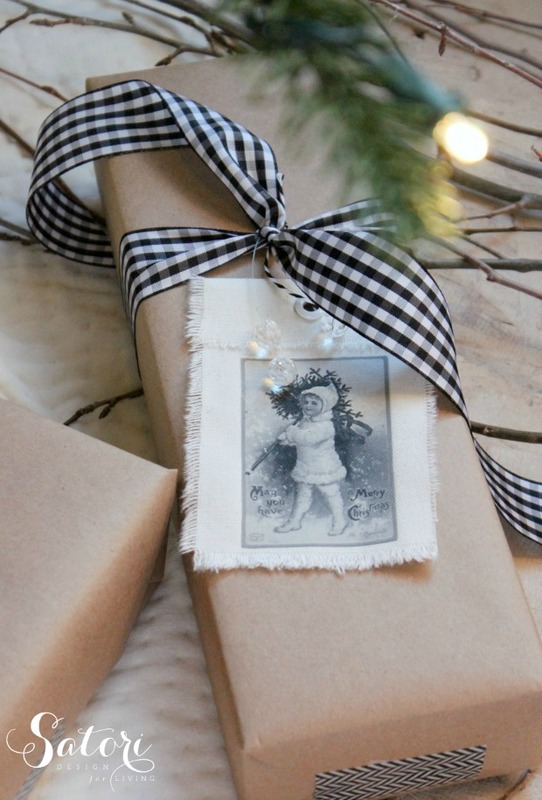 I just love your stenciled wrapping paper and all of the other fantastic ideas. :-) Thank you so much for sharing them with us at Inspiration Friday this week!